Do you have a high school graduation or family reunion or something similar this summer? Do you want a cool hassle-free treat to serve? 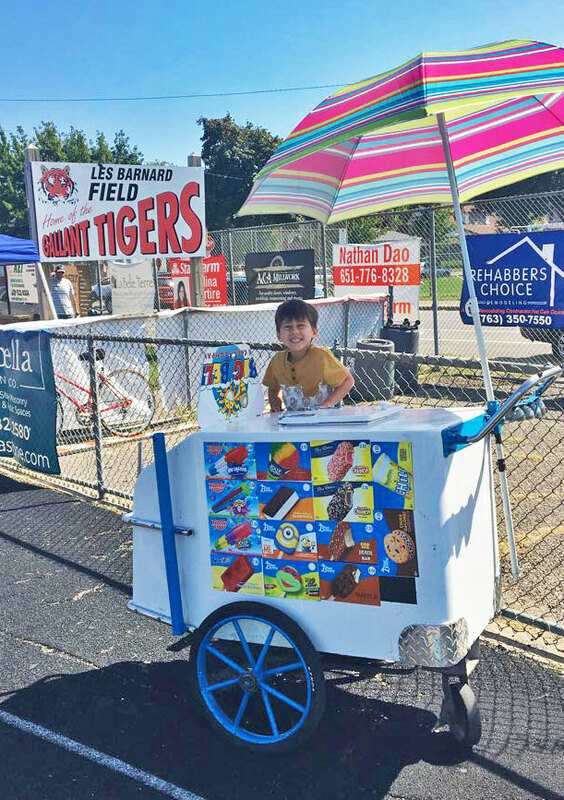 Consider renting an ice cream cart from Big Bell Ice Cream for the day. 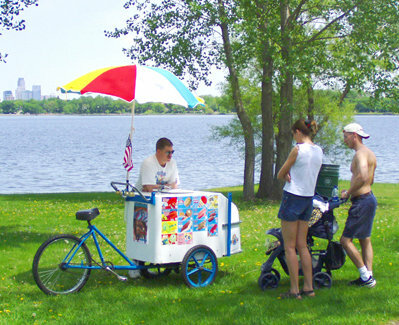 Our ice cream carts can be stocked with enough ice cream for up to 600 people. 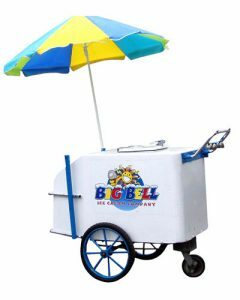 On the day of your event we will deliver your cart complete with bells and umbrella. After your event (typically the next day) we swing by and pick it up. Call us today and schedule your cart.